If you are a collector of fine gems, or want to give the woman of your dreams a 3 carat diamond she will treasure for years to come, consider the 3.04 carat, Round Brilliant, GIA certified diamond. This sparkler boasts a top, colorless, E color, a desirable VS1 clarity grade, and a Very Good cut, Excellent polish, and a faceted girdle. Top measurements are sure to impress at 9.28 x 9.31 mm. Perfect for the woman who wants a high quality diamond and impressive size. 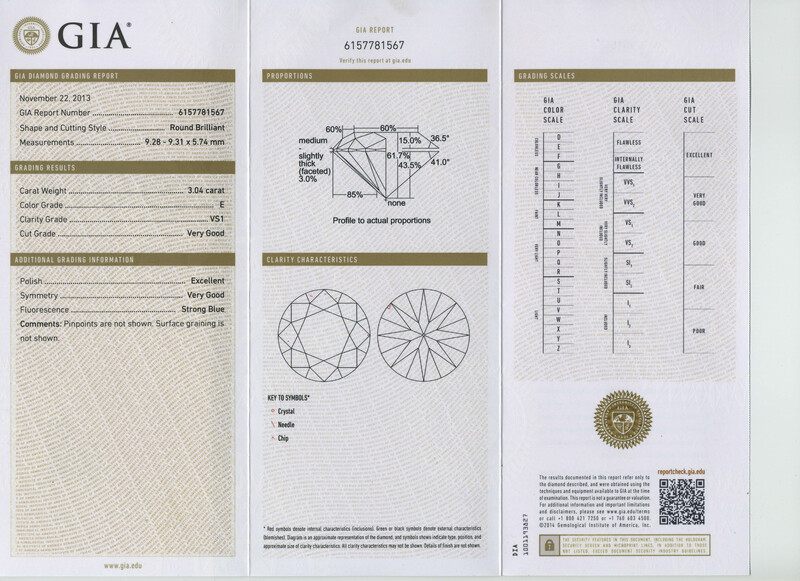 The wholesale diamond guide values this diamond at $123,424. At Hadar Diamonds Pre-Holiday sale, it is being offered at $80,225. For inquiries, visit www.hadardiamonds.com or contact us via email .